What is that thing they put up my nose? “That thing” is called a nasal endoscope, the procedure titled “nasal endoscopy”. Just think of it as our eyes to see what’s going on past the most anterior part of your nose. When you come in, we always start with a basic exam of your ears, nose, and throat. When we need more information, we use the endoscope. The endoscope has a camera lens with a fiberoptic light attached that slides into your nose and sometimes, all the way down to your vocal cords (otherwise known as a laryngoscopy). On occasion, we’ll try to empirically treat you without our “eyes”. That can work but is essentially what you’re doing when you go to your Primary Care Provider. We want to expedite your healing and diagnose you as quickly and accurately as possible. Our endoscope is a tool in our toolbox to do that, and a nasal endoscopy is needed to make you healthy! 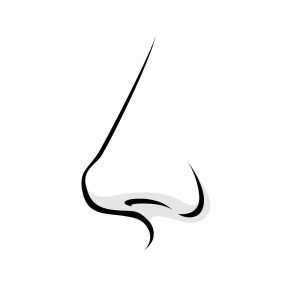 So if for example, the reason for your visit is sinus pressure or drainage, we need to have eyes into your nasal passage to evaluate causes of your symptoms: Is it infectious? Is it inflammatory? Could it be related to allergies? Is there anatomic obstruction, masses, polyps? Sometimes, you will come in with ear fullness and we’ll use the endoscope to visualize the back of the nose/top of your throat (nasopharynx) where the Eustachian tube orifice lies. Many times this opening is blocked from drainage, obstruction, infection and causes your ears to pop, feel full, or even give way to ear infections. By using the endoscope, we can see directly to that site which helps us to narrow down the possibilities and remove the guesswork.